February was much too busy a month, and March is starting off quite similarly. 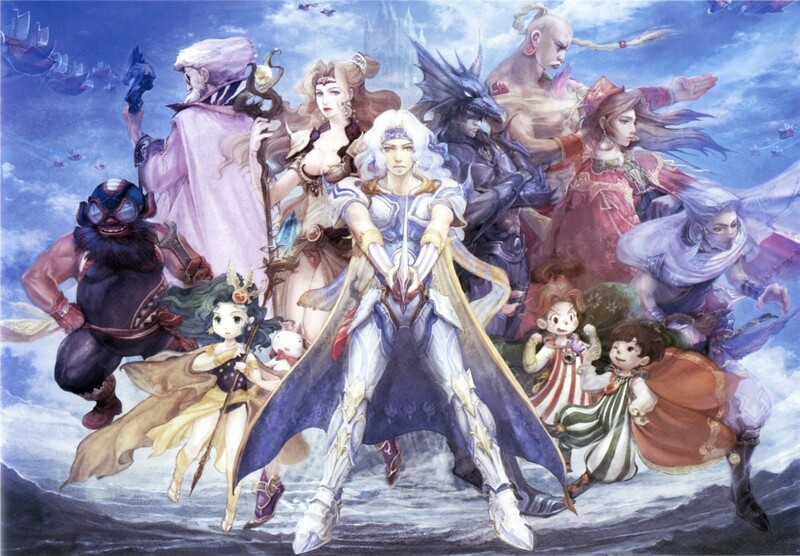 I’m on Day 15 of an allotted 24 for Final Fantasy IV, and I’m less than eight hours into the game. Eight! That’s shameful! I should be getting in at least an hour per day, and right now I’m averaging less than half with this game. It’s a shame, too, because the story so far is incredibly engaging. Let’s hope I can pick up the pace soon. Since I’ve made pretty pitiful progress, this update will likely be a bit lacking as well, but there are still a couple things I’d like to touch on. First of all, the enemies in Final Fantasy IV require more thought and tactics than any of the three games prior. I’m not just talking about bosses, either. Since your party is (so far) completely restricted and dictated by the story, and everyone’s got their own specific job and skill set, you cannot just hold the action button to mindlessly attack until your foes fall (I did this frequently throughout Final Fantasies I and III in particular). The magic-users deal minimal physical damage, and many enemies are strong against melee attacks, so you really need to pay attention and have the right person attack the right enemy. It makes grinding a bit more of a chore, as I tend to zone out when grinding in standard RPGs, but I can hardly call that a fault. It’s a nice bit of added depth in a game already bursting at the seems with character depth. Like Cecil and Kain. They start the game as BFFs who seem to be on the same side morally, and get separated during an attack. Later the two meet back up and Kain has begun following the sinister Golbez as his right-hand man. Meanwhile Cecil has questioned his past actions and worked to atone for his wrongdoings, and even passed the trials to become a Paladin, leaving his Dark Knight days behind him. Now he’s got to deal with the conflict of fighting Kain, while I (as a player) try to work out what Kain’s angle really is. Was he always a bad dude? Is he under Golbez’s control? Or is he actually playing everyone, working with his own agenda? I legitimately don’t know, and that’s awesome. There’s so much going on, and I actively want to know more. Cid, the Engineer who- oh, who am I kidding? You know Cid. He’s the one with the airship. So including Cecil and Kain, that’s a whopping 10 characters I’ve had in my party at one point or another, and I suspect there may be more to come. But even though there’s such a large playable cast, almost all of them feel fleshed out and worthwhile. Nobody feels superfluous or unnecessary. They all add to the game, and they’ve all got a story to tell. I just can’t wait to see where all their stories take them. So that’s where I’m at. I’m going to try something a bit different with my tweets this week. Instead of going through all my tweets and selecting a few dozen I liked the most, I’m just going to use a widget that automatically shows the #RoadtoXVin15 hashtag. It’s much less time-consuming for me, and truth be told, I just don’t have the time to pull all those individual tweets this week. Give me a shout with the hashtag and let me know if you like it or not!